Emma began riding when she was in third grade. She joined Carl and Rush Weeden to do the hunters and equitation and there began to develop her interest in show jumping. Approximately four years ago she began training with Olympic medallists Laura Kraut (USA) and Nick Skelton (GBR). 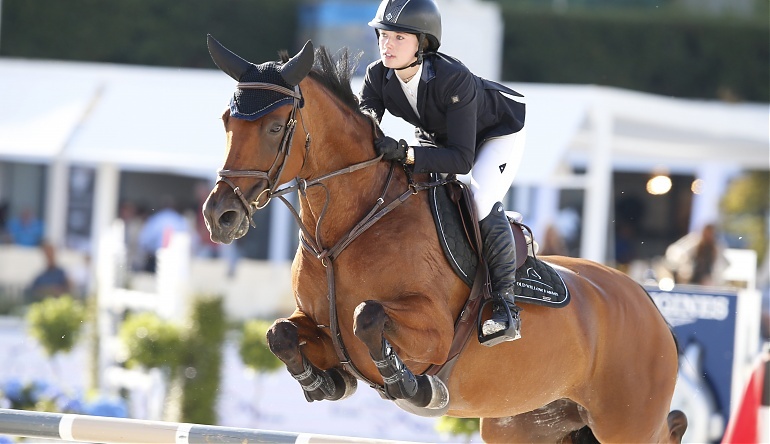 Since then, she has won dozens of 1* and 2* classes throughout Europe, including at GCT events in London, Paris, Madrid, Monaco, Cannes, as well as in St Tropez and a U25 Nations Cup win in Wellington. She will be a freshman at University of Miami in the fall.